He’s a strange animal, the Black Friday shopper. He believes setting up camp in the parking lot of an electronics retailer, sometimes days before Thanksgiving, is a rational act. His conscience failing, he may even blanket competing shoppers with pepper spray — all for a half-price Xbox. And items he once never considered worthy — like RIM’s BlackBerry PlayBook tablet — are suddenly irresistible when marked down. So goes the most recent Black Friday. Nationwide Best Buy retailers have sold through most of their BlackBerry PlayBook stock, and according to multiple reports from Best Buy customers, the retailer is canceling existing orders for the discounted tablet. Before they started receiving order cancellations, customers could buy the 16GB, 32GB and 64GB PlayBook versions for $200, $300 and $400, respectively. These prices reflect a $300 reduction across the entire PlayBook line-up. “Customers have responded very positively to this short-term promotion available until Dec. 3 and, as a result, we are currently sold out of our inventory,” a Best Buy spokesman told Wired.com in a statement. “We will have additional units available in the near future,” the spokesman said. RIM did not respond to a request for comment on the backlog of orders. 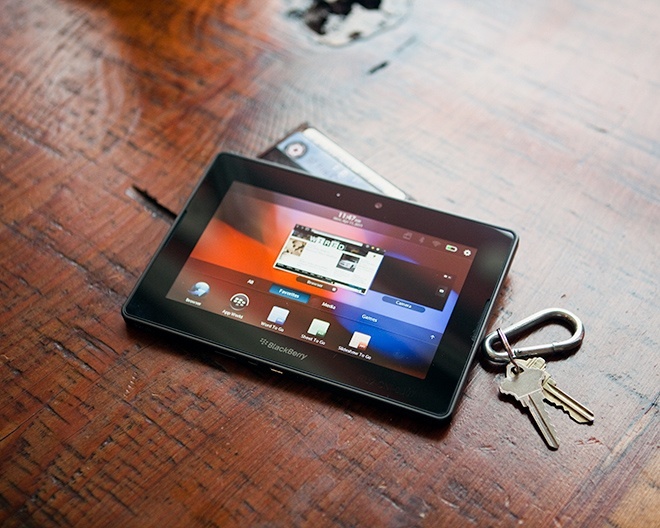 When the TouchPad and PlayBook launched early this year, consumers generally wanted nothing to do with either product. Reviews of both devices were lukewarm at best. The PlayBook received especially tough criticism, with critics noting the tablet launched without native e-mail, calendar and contacts apps. And yet, Best Buy now can’t seem to keep the tablets on the shelves. All versions of the PlayBook are now marked as “sold out online” on BestBuy.com, while other big-box retailers have sold out of the cheaper, lower-storage-capacity versions. RIM’s official store offers PlayBooks for direct sale, though now warns items may take up to seven days to ship due to the high volume of recent orders. Manufacturers have clearly found the magic price point for customers who don’t want to shell out iPad-level amounts of cash. This is perhaps best exemplified by the success of Amazon’s Kindle Fire tablet, which was the best-selling item site wide over the holiday weekend, according to Amazon. But there’s still a problem for the RIMs and HPs of the world: They can’t afford to sell their tablets at these bargain-bin prices. Components research firm iSuppli says the TouchPad most likely costs around $300 to produce in terms of cost of materials, while the PlayBook costs RIM about $200 to manufacture, similar to Amazon’s approximate per unit cost. And the profit margin/loss picture gets uglier when you consider none of those iSuppli numbers include shipping, labor and other non-material-related costs. That’s an immediate $200 loss for HP on each TouchPad sold, and this penalty must be absorbed before the tablet even makes it off of the assembly line. Amazon, however, can afford to take a loss when selling its Kindle Fire hardware, as the company relies on its online shopping portal to recoup — and broadly offset — the costs of manufacturing, shipping, and marketing. RIM promises we’ll see improvements to its tablet soon, which could make the recent spate of PlayBook purchases a smart move on the part of consumers. The most recent ETA for native app updates, however, slates the OTA software push at February of 2012, a full year after the PlayBook’s initial release.